Pest description and crop damage Adult woolly apple aphids are reddish to purple and are completely covered with a thick, woolly white wax. 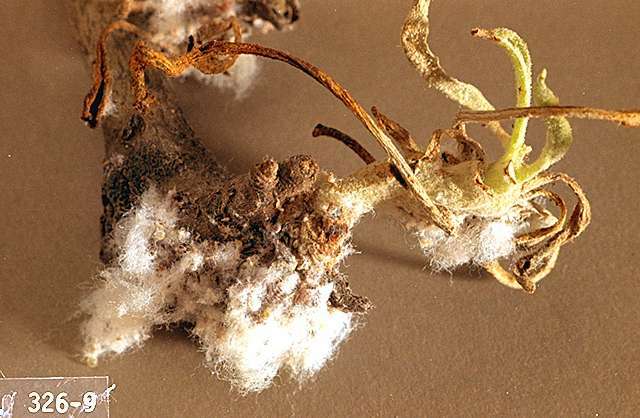 The insects feed on roots, trunks, limbs and shoots, producing galls at the site of the infestation. Heavy infestations on roots or above-ground portions of the tree can stunt growth and even kill young trees. Biology and life history These aphids overwinter as adults on roots and aerial parts of apple trees. In severe winters the aboveground colonies may be killed. In spring and early summer, nymphs move up and down the tree to find a new spot to settle and produce new colonies. Preferred feeding sites are leaf axils on new shoots. Scouting and thresholds Inspect trees during the growing season for the characteristic white, waxy colonies. 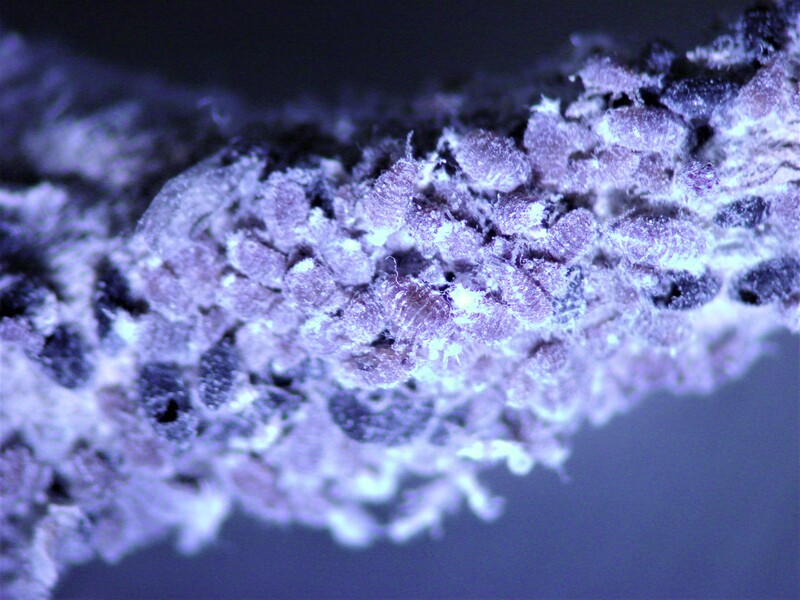 Aerial colonies are mainly found in rough areas of bark and in wounds caused by pruning. Lacewings, ladybeetles and syrphid fly larvae are predators, as well as the parasite Aphelinus mali. These predators will consume all but the waxy secretion left by the aphids. 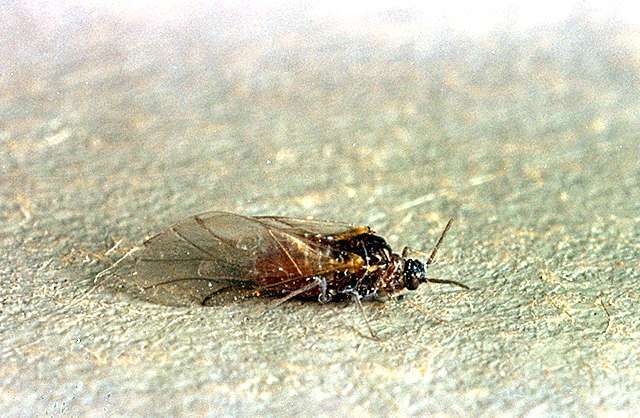 This aphid is considered a minor pest in the PNW. If colonies are found on trees, they can be physically removed. Many Geneva and Malling-Merton rootstocks are resistant.